Part of me would love to dedicate hours each day to blogging, however I’m lucky to squeeze in a couple posts a week lately. I am always interested in expanding my reach though and hearing other bloggers’ stories. That’s why I’m excited for tomorrow’s “Blogger’s Lounge” event at Bella Luna in Boston/Jamaica Plain. 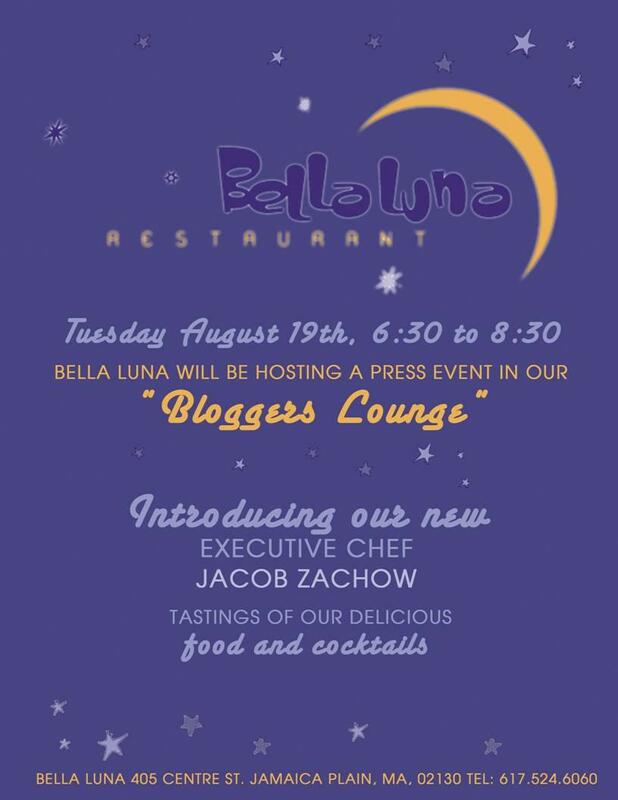 This bloggers-only event promises some fun networking, tasty treats supplied by the wonderful folks at Bella Luna Restaurant, and even some new friends! If you’re a blogger, RSVP by sending your name, email, and blog URL to BostonBlogEvent@gmail.com. If you’re going, I’ll see you between 6:30 and 8:30pm for the event!